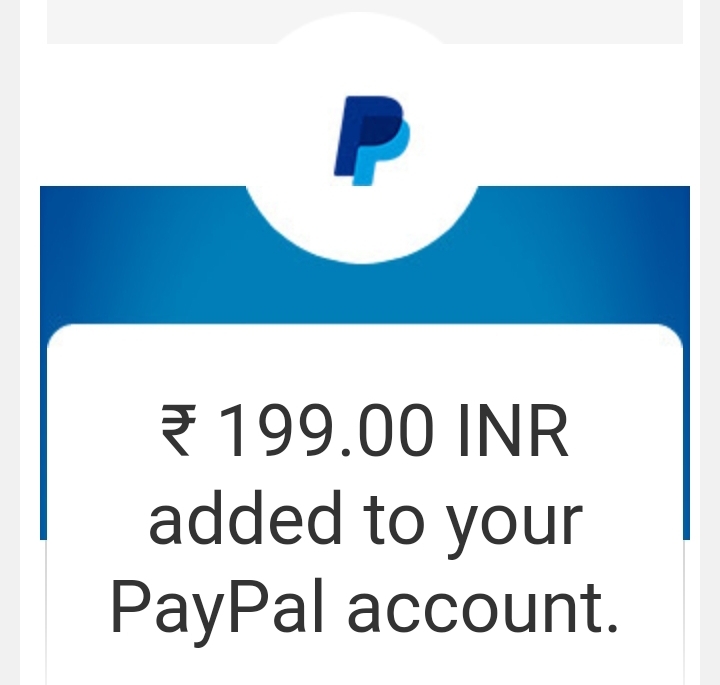 Paypal Sending Rs. 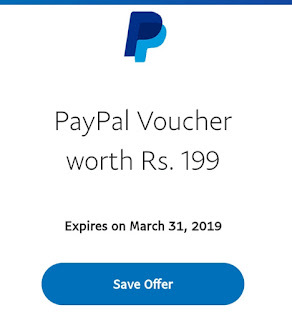 199 Credits As Holi Gift To 'SELECTED CUSTOMERS'. Check Your Promotional E-mail And Click On Save Offer. Minimum Purchase : Rs. 200. Valid Till 31st March. 2) Click on “Click to Save” and follow the process to redeem your Voucher !! 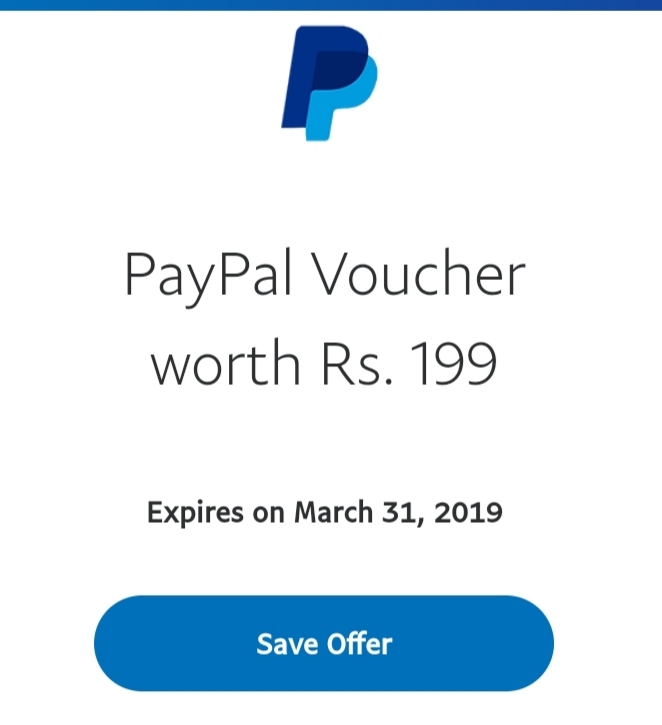 3) Voucher expires 31, March 2019 & can be used for Indian transactions only. Note: if you haven’t received yet, You may get in Next day too. So Keep patience !! Suggestion : Buy Amazon/Flipkart Rs. 200 Voucher At Rs. 1 From Zingoy, Paisawapas.